2 Christmas & 3 Easter CD Special! The Whole World & Everything In It! More Messages For Us All! …and You Are Cordually Invited! Words Spoken Through the Apostles! It’s Christmas In Rabbitville… Come On In! Cherry Bunny heads to Nashville! A Celebration of Easter All Year Long! I CAN COUNT ON HIM! 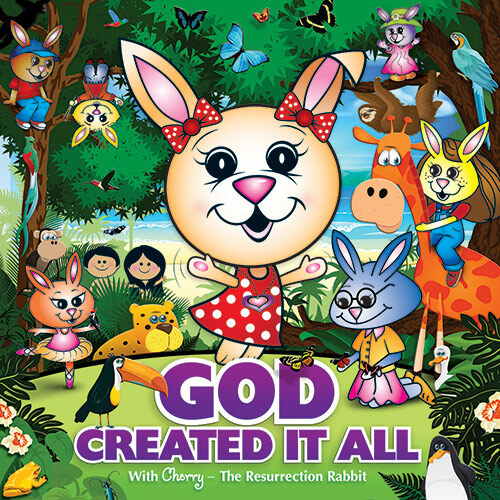 A new pre-school musical about the faithfulness of God! Some of Cherry’s newest country tunes! A great new Christmas CD with songs the kids are gonna love! Cherry’s newest project celebrating America!